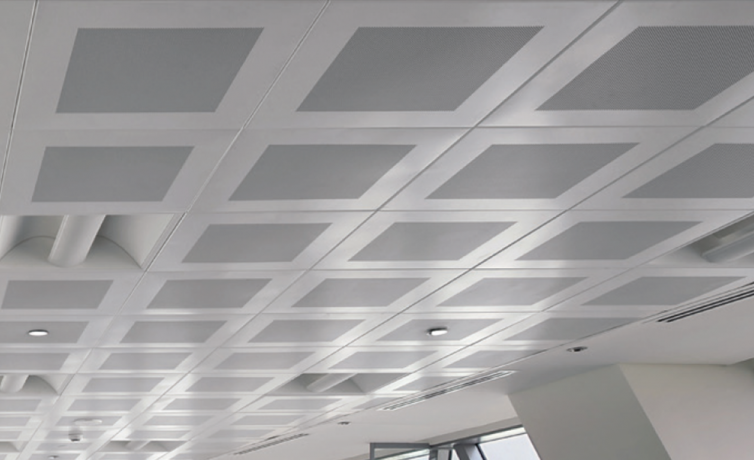 SAS150 is a suspended metal ceiling system with clip-in modular tiles and concealed grid. 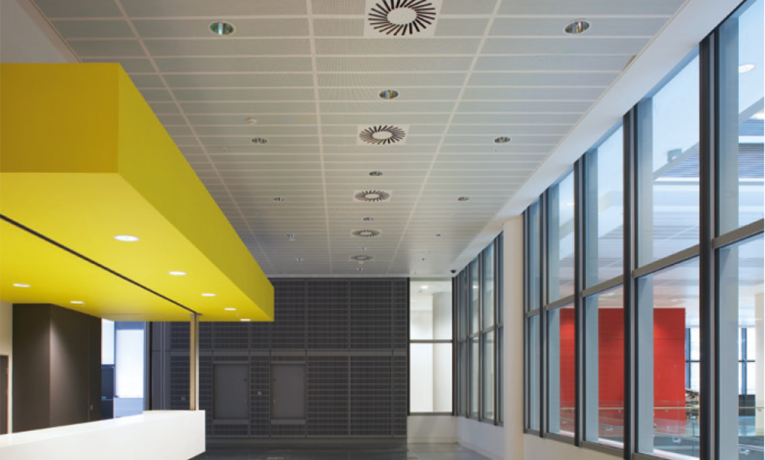 SAS150 tiles can be supplied with any standard SAS perforation pattern. 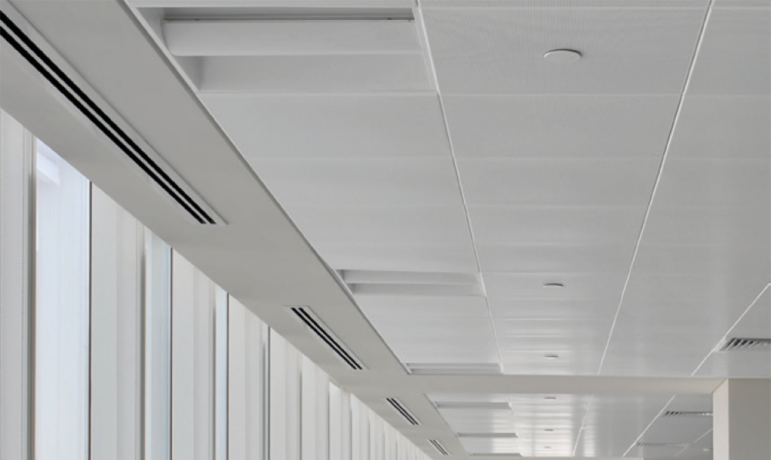 1522 is a popular pattern available. Acoustic pad as standard. (16mm deep, 80Kg density mineral-wool pad with black tissue face, foil back and sides).